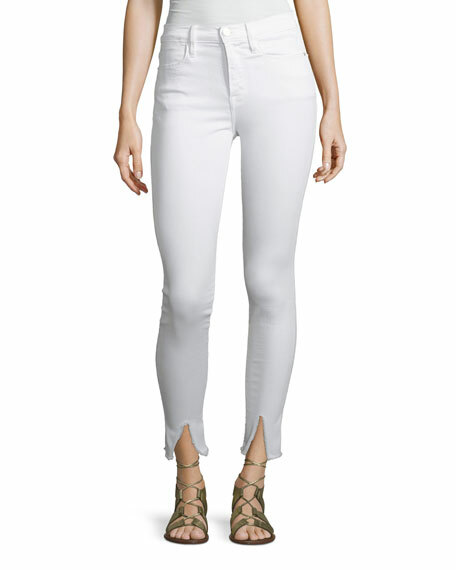 FRAME "Le High" jeans in stretch-denim. 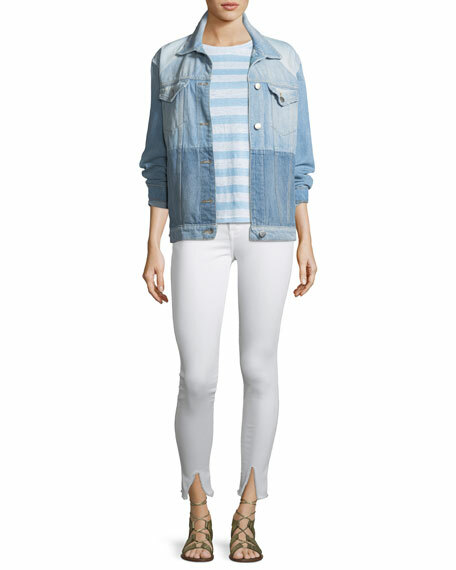 Hudson "Barbara" jeans in stretch denim. Approx. measurements : 11" rise, 29" inseam, 39" outseam; 13" leg opening. Five-pocket style; V'd stitching on back pockets. High rise. Fitted through skinny legs. Button/zip fly; belt loops. ... Machine wash cold. Imported. 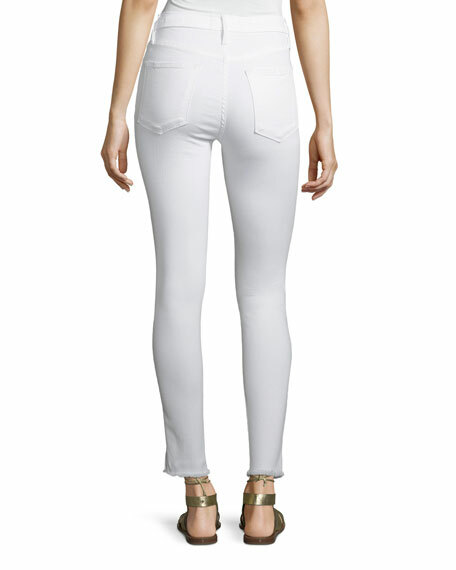 EXCLUSIVELY AT NEIMAN MARCUS J Brand "Alana" cropped skinny jeans with frayed hem. Approx. measurements: 11" rise, 27.5" inseam, 37.5"